Are you looking for a locksmith near me Jacksonville, Florida? Did you lock yourself out of your car, home, or business? 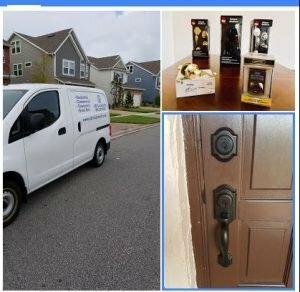 Looking for a Locksmith Near Me Jacksonville? Do you have access but suspect someone who has your keys can’t be trusted anymore? Whether you need to get back into a vehicle or building, replace broken locks or have new keys made and security upgrades installed, consider calling Abi Locksmith services at (904) 257-8353. Keep reading to learn about some of the many services we can provide you with at home, your car or your place of work. If you have forgotten your keys or just locked them inside of your car, truck, or SUV, give us a call. We’ll get you going again quickly so you can move on with your day. We have a mobile machine for making car keys so we can replace your car key or give you a spare. This is especially helpful if you lose your car keys or just lock yourself out. In addition to that, we can even program car keys for you. Smart keys allow you to lock your vehicle from inside your home only with the touch of a button. Not only can we replace the traditional keys that older vehicles use, but we can also replace transponder keys that have computer chips in them. Many drivers think that those can’t be duplicated, but in fact, they can. Also, we can replace ‘switchblade’ keys that flip out like the knives they’re named after. And as mentioned before, we can install a smart key system for key-less entry using electronic access and an authorization technology system. Call us at (904) 257-8353. Tell us about your location in Jacksonville, Florida. Have a broken key that’s stuck in the lock? That might seem impossible to fix to you, but it’s all in a day’s work for us. You’ll be back on the road in no time doing what’s most important in your life. We can handle any vehicle, new or old, within 20 minutes of Jacksonville, Florida. High-security locks don’t stop us because we bring a mobile machine for making car keys if your key is broken or damaged. Call us 24/7 at (904) 257-8353. Make sure the younger drivers of your family know when to call us. A lot of teenagers don’t have much life experience, much less driver experience. Imagine the embarrassment or shock they must feel the first time they lock themselves out of their vehicle. Do you remember the first time it happened to you? Maybe the door accidentally closed, or it’s possible you forgot to take the keys. Also, the key might have even broken off right in the ignition. Sit down and talk to them early on to tell them that such things happen. Give them an overview of who to call and how they should handle it that way they know what to do during an emergency. If possible, teach them to wait in the safety and comfort of a nearby business when they’re outside during their crisis. Do you suspect your vehicle lock has been compromised? Are they not as sturdy as they once were? 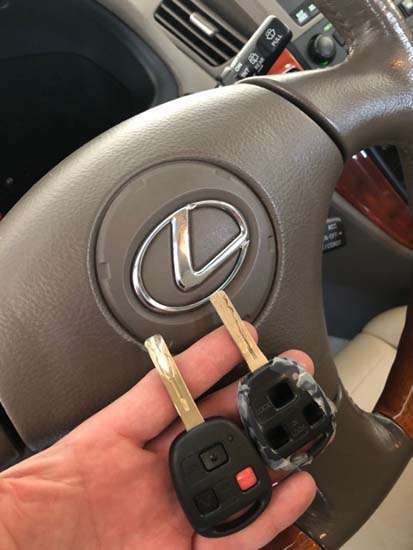 Maybe someone you don’t trust has a spare, or such a key fell into the wrong hands? If you’ve got expensive stereo equipment, DVD players in the back seat, or other valuables, then you want to ensure they’re safe and sound. While it’s impossible to safeguard against all break-ins, functional locks that are engaged severely reduce the odds of a break-in, as perpetrators move on to cars that are unlocked or more comfortable to get into. Furthermore, high-security locks improve your odds even better, and might also lower your insurance rates. Don’t go another moment without the peace of mind of protection. No matter the situation with your vehicle, we serve clients within 20-minutes of Jacksonville 24/7. Your home is a sanctuary and safe place. It doesn’t just protect you from the elements of nature, but hopefully also from the stresses of the world. However, safety is the primary aspect of a home, not just for you and your family, but also your possessions and the home itself. As with your cars or trucks, if you’re ever locked out, we can get you back in quickly and easily. We can also help you make your home safer than it already is with high-security locks, intercom systems, deadbolts, alarms, cylinders, and buzzers. We can even add window guards. One thing we can install is a smart key system. That combines a touchpad with your smartphone using Bluetooth technology, letting you protect your home without physical keys. You don’t have to linger and fumble any more at the door when entering or leaving. Don’t overlook your garage if you have one, as it’s a common way to enter a home for those who have no business doing so. Limit the chances they have. In some cases, all you need is a code change. In others, you might want to update your system and rekey suspicious locks. The options we offer are far cheaper than what vandalism or burglary might cost you. You can even keep an eye on your garage from a safe distance thanks to cameras and touchscreens. We can even help you secure condos and apartments with special security features. Even if you don’t live in a detached family home, it doesn’t mean you’re less important and don’t need to be protected from the same risks. We can install safes to help you safeguard things like money, important documents, guns, and other valuables. Even a small safe can fit right into a tight floor plan, and they can often be concealed too. In addition, we also service commercial structures near Jacksonville. Sometimes a business simply needs to change its locks. The more turnover you have in staff over the years, the more people with keys to your business. Who knows if someone never turned theirs in or lost it? For all you know, someone has a copy without their knowledge. Some older buildings have basic locks that can be picked with minimal skill. Just changing to high-security locks does wonders. Also, it’s wise to occasionally rekey your business mailbox. All sorts of valuable products and statements come in the mail, and identity theft or document fraud happens to companies just as much as people. The right locks and security system can drastically restrict access to who you allow into your business these days. A swipe or key card system goes a long way, and with the right technology, you can monitor the activities inside your space over the internet or through your smartphone. Use alarm or buzzer systems for even higher layers of security in crucial areas. If your business suffers a break-in, or you know there’s a spare key out there that can be used sooner rather than later, call us 24/7 if you’re in Jacksonville or within a 20-minute drive. We’ll be there anytime, day or night to change locks, fix broken ones, and even help with window guards. In conclusion, don’t let the effectiveness and variety of our services make you think you can’t afford us. We offer a variety of options that are competitively priced. In some cases, you simply can’t afford to wait, and the peace of mind of resolving such situations is always worth the money you spend. Moreover, you’ll get further peace of mind knowing that our services are not only licensed but also insured and bonded. You can trust us with your security needs and emergencies. Not only can we come to your car, home, or business inside Jacksonville’s city limits, but also to anyone living within a 20-minute drive of Jacksonville. Still not sure if we’re right for you? Check out our Yelp reviews. We’ve got more 5-star ratings than you can count, and we’ve earned them over the years by helping people just like you who are in need. If you need locksmith services near Jacksonville call Abi Locksmith right away for emergencies or just questions and concerns. Reach us at (904)257-8353 to talk about our licensed, bonded, and insured locksmith services, many of which you’ve learned about here. Call as soon as you need us for our 24/7 emergency locksmith services! 15 min Locksmith service near me 24/7 Full Auto, Home, & Commercial Locksmith Services Are Available Now Near You! No One Else Local Will Respond To You Faster Or Can Give You A Better Price Than Us. High-Security Locks.